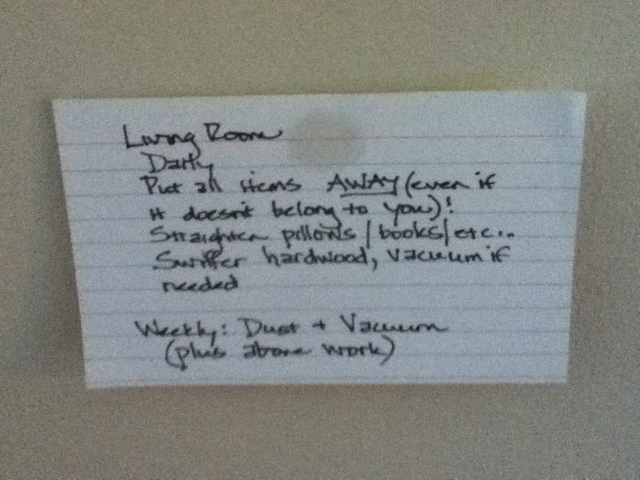 Every room in my home has one of these well worn index cards. 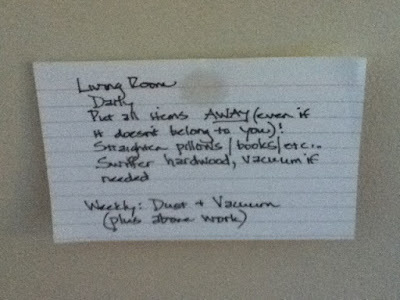 Each card lists how to clean the room. Ever asked a kid to clean a room and he does one thing, calls for mom, only to be told there are five more things to be done? With the card system, the child can check for himself. I often say, “did you do everything on the card?” if the answer is” yes”, then I check! Watch Time-saving Tuesdays in the coming weeks for more on the index card system! I like time saving Tuesday.